HA NOI (VNS) — Viet Nam defended their title at the World Shuttlecock Championships, which wrapped up in Rome, Italy on Saturday. The team took the lead with four gold and three silver medals, followed by China, with three gold and four silver medals. This victory marked the eighth in a row that Viet Nam have dominated the world event. 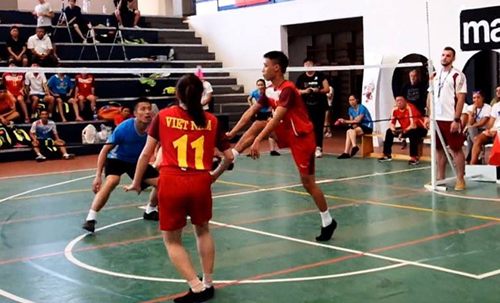 On the last day of competition on Saturday, Viet Nam won two gold medals in the women's and men's singles. The team also won two additional silver medals in the men's team and women's team (team of three). This eighth World Shuttlecock Championships, which was organised by the International Shuttlecock Federation, brought together nearly 100 athletes from nine countries and territories, including Austria, India, Poland, France, Germany, Hungary, and China's Macau.